Spring brings a time of new life — and CRC | Regent Park Community Food Centre is honoured right now to be a part of the resurgence happening in and around Toronto’s Regent Park, an area long affected by concentrated poverty. From connecting hundreds of individuals to affordable housing and other vital resources to providing thousands of visitors to our 40 Oaks drop-in space with healthy meals, new skills, and the social connections of a community hub, the CRC | RPCFC team is having a major impact on a better way of life in the community. Be a part of this resurgence with a charitable donation today. Your secure online credit card gift is tax-deductible and can fund an array of our poverty-relief and capacity-building programming. Your donation to our Annual Fund will benefit programs and resources in the area of greatest need. These areas may include the critical upkeep of our affordable housing units; maintenance of our complimentary Clothing Room, shower and laundry facilities; and programming costs for our 40 Oaks drop-in space, where an average of 260 participants daily come to access a range of services from advocate support to a series of year-round life skills workshops. 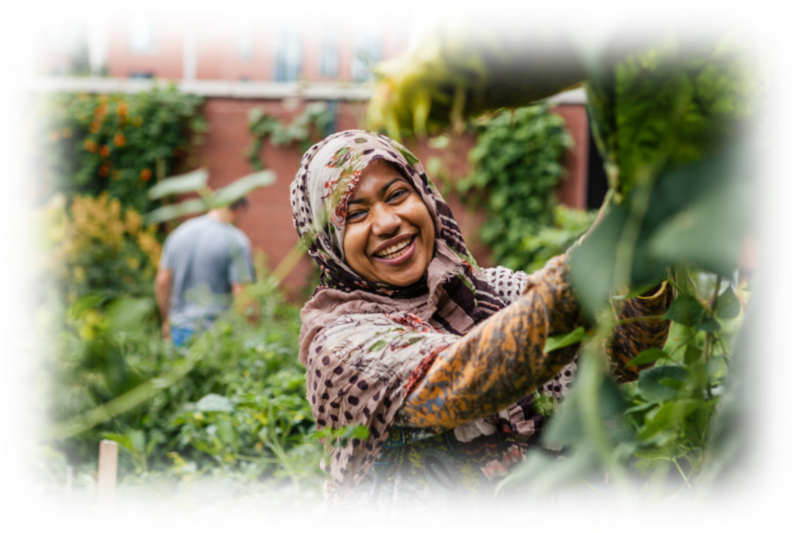 Your donation to the Regent Park Community Food Centre will support a suite of programming focused on strengthening food security in Regent Park. The RPCFC serves some 66,000 meals annually, hosts food skills workshops tailored to the needs of diverse community groups, and supports 187 community gardens in Toronto’s downtown east. Thank you for helping us change lives in Regent Park! If you require additional support, contact Enloe Wilson, CRC’s Director of Development, at enloew@tcrc.ca or 416-363-4234 ext. 238.